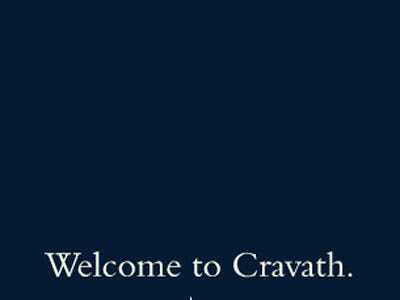 Airgas’ counsel accused Cravath of dropping its former client (that would be Airgas) like a “hot potato.” A Delaware judge did not find the prior representation reason enough to disqualify Cravath from continuing to bat for its new client. Airgas sued Cravath in Pennsylvania state court over the firm’s representation of Air Products in Air Products attempted hostile takeover of Airgas. Cravath previously represented Airgas in different matters. The Pennsylvania state court, on Cravath’s motion, transferred the case to Delaware Chancery Court where litigation regarding the takeover was already pending. Today Chancellor William Chandler refused to disqualify Cravath, saying there was “no basis” to do so. “Airgas here has not demonstrated even simply persuasively, let alone clearly and convincingly, that it would be disadvantaged by the presence of its former counsel as advocate for its opponent, Air Products,” Chandler said in a telephone hearing today. Airgas told Reuters that it is “disappointed” and that it continues to believe Air Product’s offer “grossly undervalues” its assets. “We are prepared to take all necessary steps to preserve and protect stockholder value,” Airgas said.